We offer two great facilities in Huntsville, TX - one at 224 16th Street and one at 7059 State Hwy 75 S.
Our office is open from 9:00 am until 6:00 pm, Monday through Friday. However, we’re available by phone from 7:00 am until 10:00 pm, every day of the week. You can access your unit any time you need to. We offer 24 hour access! We do. We offer U-Haul truck and trailer rentals to help you move your belongings. We do whatever we can to maintain a safe atmosphere. Our property is fenced and accessible only through a electronic security gate. Additionally, our state of the art security cameras record all activity on our property 24 hours a day. Do you sell boxes or supplies? We do! You can purchase a broad range of moving supplies in our office. 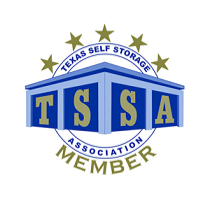 Try our storage calculator - it’s an easy way to estimate how much space you’ll need. Getting started is easy. Just contact us! You can call us at (936) 295-6699 or contact us right here from our website.